The Department of Defense officially launched the Blended Retirement System [ http://militarypay.defense.gov/BlendedRetirement/?source=GovD ](BRS) comparison calculator, providing BRS opt-in eligible service members their first opportunity for an individualized comparison of retirement systems. The comprehensive tool, in combination with the mandatory BRS Opt-In Course [ https://jkosupport.jten.mil/Atlas2/page/coi/externalCourseAccess.jsf?course_number=P-US1332&course_prefix=J3O&source=GovD&v=1490289736816 ], will assist the nearly 1.7 million opt-in eligible service members and their families make an informed decision on whether or not to elect the new retirement system.The BRS goes into effect on Jan. 1, 2018. We have designed an all-in-one calculator that is intuitive to use and takes into account the unique financial situations of our active duty, National Guard and Reserve service members, said Tony Kurta, performing the duties of undersecretary of defense for personnel and readiness. The calculator presents to service members the information needed to make an effective comparison. The calculator will provide service members the ability to compare estimated benefits between their current retirement plan and BRS prior to making this important decision. Service members can adjust 12 inputs to reflect their personal situation and planning assumptions to see how changes to their career and savings will impact retirement benefits over the long-term. 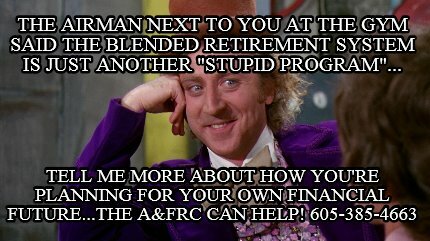 With a simple click, service members can change any of the inputs and re-run the calculations as many times as needed. The comparison calculator provides personalized estimates based on a service members individual information, career progression, pay and bonuses and retirement options. The all-in-one calculator was designed for the Total Force and can be used by active duty, National Guard and Reserve service members. The official DoD comparison calculator is the only calculator endorsed by the DoD for supporting a service members Blended Retirement System opt-in decision. Service members may use any calculator they feel can aid them in the decision making process, said Kurta. However, only the DoD BRS comparison calculator has been validated by the department as complying with all DoD and BRS policy and tested for accuracy. The comparison calculator is intended to be used in conjunction with the mandatory BRS Opt-In Course, which launched Jan. 31. 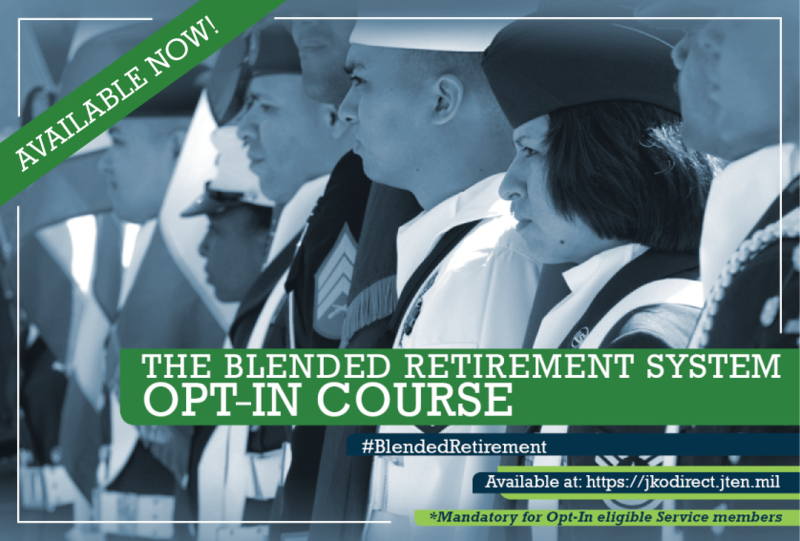 The opt-in course is focused on comparing the current legacy military retirement system (often referred to as the high-3 system) and the new Blended Retirement System, along with elements on financial management and retirement planning for service members. 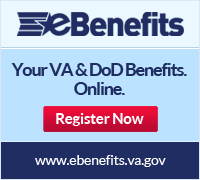 Service members are encouraged to take the Opt-In Course prior to utilizing the BRS comparison calculator. The decision whether to opt into the BRS is a completely personal one and the DoD takes no position on which system a service member should elect. While the calculator is a valuable resource, said Kurta, it should not be the only resource used in making an opt-in decision. Service members are encouraged to use all resources available to them in the decision making process, to include completion of the BRS Opt-In Course [ https://jkosupport.jten.mil/html/COI.xhtml?course_number=P-US1332&course_prefix=J3O&source=GovD ], utilizing the BRS Comparison Calculator [ http://militarypay.defense.gov/calculators/brs/?source=GovD ], accessing the online BRS resource materials [ http://militarypay.defense.gov/blendedretirement?source=GovD ]and scheduling time with a personal financial counselor or manager. Service members can get free, personal support from an accredited personal financial counselor or manager through their installations Military and Family Support Center. Search online athttp://militaryinstallations.dod.mil/ [ http://militaryinstallations.dod.mil/?source=GovD ] or http://www.jointservicessupport.org/spn [ http://www.jointservicessupport.org/spn?source=GovD ]. 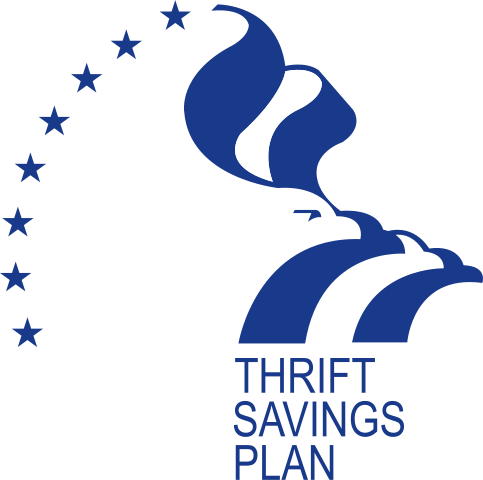 If you are an active duty member of the Army, Air Force, or Navy making dollar-amount Roth contributions to your TSP account, these deductions will stop on January 31, 2015, unless you act. An upcoming change in myPay will require you to designate your Roth contributions as a percentage of your pay, not a dollar amount. If you don’t comply with this change, then the Defense Finance and Accounting Service (DFAS) will not be able to process your Roth contributions. This change affects your Roth contributions only; your traditional contributions are already designated as a percentage of pay. The new requirement will take effect January 1, 2015. You will have 30 days to change your Roth election from a dollar amount to a percentage of your pay. If your new Roth election is not received by January 31, 2015, then DFAS will not be able to process your Roth contributions until you update them. Log into myPay. You’ll see a special TSP section called “Traditional TSP and Roth TSP”—click there. Then, in the “Contribution from Roth TSP” section, you can enter the percentage of your pay that you’d like to contribute (10%, for example). Finally, click “Save” at the bottom of the screen. The other way you can make the change is to submit the paper election form, TSP-U-1, available on www.tsp.gov to your finance office. Effective 1 January 2015, investors will face stricter rules on how they can move their money between individual retirement accounts or IRAs by limiting them to just one rollover in any 12-month period. Previously investors were allowed a yearly rollover for each IRA you held. For example, if an investor had multiple IRAs, they could roll each IRA over once a year. But in a Tax Court decision from earlier this year (Tax Court Memo 2014-21), the judge ruled that, despite the Internal Revenue Service’s past leniency, the law clearly states that there is one annual rollover permitted per person, not one per IRA. This does not affect trustee-to-trustee transfers. The clarification of the law actually does you a favor by reducing the temptation to make risky changes with your retirement savings. It is dangerous to treat your IRA as a source for short-term loans. If you are late on a repayment, even by a day, the tax ramifications can be harsh. 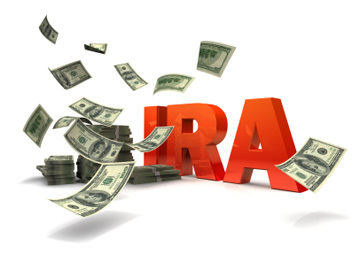 In the article, Robert Steen also provides some other IRA advice worthy of a quick read.